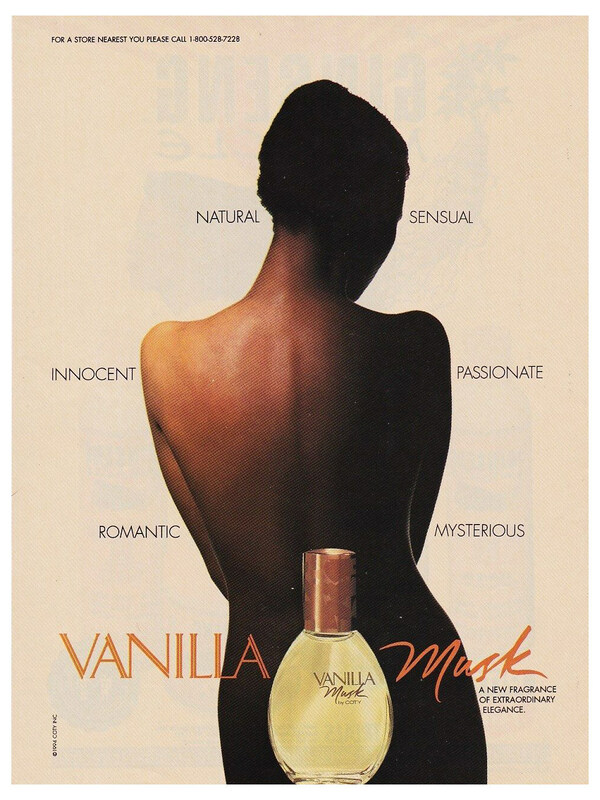 Vanilla Musk is a perfume by Coty for women and was released in 1994. The scent is sweet-oriental. The production was apparently discontinued. Vanilla Musk is fairly linear, although when I take a big sniff, I can really get that cedar-y tang. Otherwise, light sniffs yield mostly musk and sweet vanilla. The first few times I smelled Vanilla Musk, admittedly, I wasn't crazy about it. To me, it was all musk, and not much else. I recently decided to clean out my verging-on-absurd collection... And so I pulled out Vanilla Musk, and luckily decided to spray it again. Boy, was I wrong! 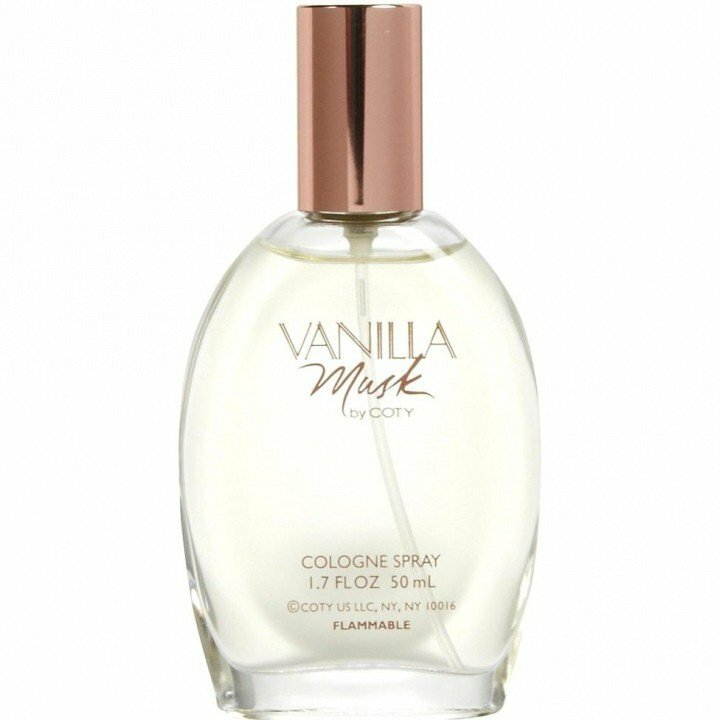 Vanilla Musk is so light and demure, yet powerful on its spices. It's a gentle vanilla musk to go to bed with, to hold a baby with, an unassuming fragrance that won't turn heads but will make your skin smell very, very good. It's a faint musk with strong spices and an over wash of vanilla that hits you immediately on the first spray in a delightful mix that makes you come back for more. Its' initial spritz is glorious with a zesty lemon that has one drooling and dreaming of lemon cream pie. It's absolutely delicious. I can't get enough of the beginning notes of this cologne spray. No alcohol whizz, just immediate gratification and pleasure from the first spray through to the end. It's a little stronger than one might think for a cologne spray, and it does radiate well. Lasting power is not that well, two hours at best. Although, for a cologne, that would be decent. Considering some of today's Eau de Parfums, it holds its own in longevity. A little bit of burnt logs thrown in for good measure which only adds to this old stand-by of drugstore classics. A creamy, cooked vanilla pudding from scratch comes to mind when I smell my wrist with Vanilla Musk. The type of pudding that's been left on the stove a little too long and has some burnt crisp edges along the sides of the pot. A scrumptious winter-time fragrance for those snowy days in front of the fire, watching the snowflakes fall.